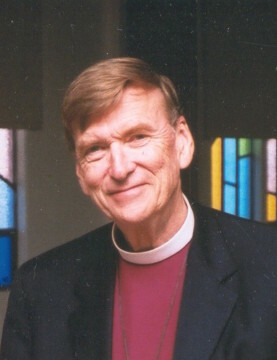 Recently named Person of the Year by Americans United for the Separation of Church and State, Bishop John Shelby Spong will address followers and critics alike when he comes to Sarasota Feb. 12-13 to explain his vision for a “kinder, more gentle, more inclusive” form of Christianity — one that he claims is necessary for the survival of the religion, organizers of the event have announced. This will be Spong’s first visit to the city in many years, a news release explains. “Attendees will come away with a new appreciation for modern, progressive theology,” the release adds. The church is located at 3975 Fruitville Road. “Spong’s career has been marked by his sharp criticism of biblical literalism and traditional Christian dogma,” the release points out. His outspoken support of the ordination of gay clergy, gay marriage, the election of women to top leadership positions in major denominations and a new “rational humane Christianity has often landed him on shaky ground with more traditional Christian churches,” the release adds. Spong served for 24 years as the bishop of Newark and then as a parish priest in North Carolina and Virginia, the release continues. He has lectured and taught at Harvard, Drew University, the University of the Pacific and the Berkeley Graduate Theological Union, the release notes. He is a best-selling author whose works have sold more than 1 million copies, the release adds. His latest book, Biblical Literalism: A Gentile Heresy, will go on sale the week following his Sarasota appearance, the release says. For more information, call the Unitarian Church at 371-4974.